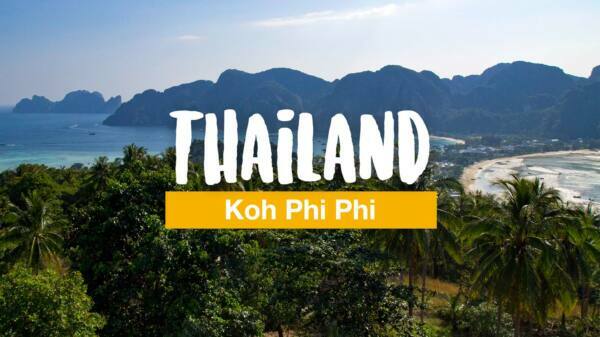 Koh Phangan is, like the well-known islands of Koh Samui and Koh Tao, located south in the Gulf of Thailand, more exactly in the Surat Thani region. However, many travelers do not even know the sights and activities of the island as they only come to Koh Phangan for the Full Moon Party. That’s a pity, because even if Koh Phangan has a reputation as a party island, there is plenty to discover as well as beautiful beaches or viewpoints. Especially for the fantastic sunsets. We have spent many months on Koh Phangan and call the island our home base nowadays. 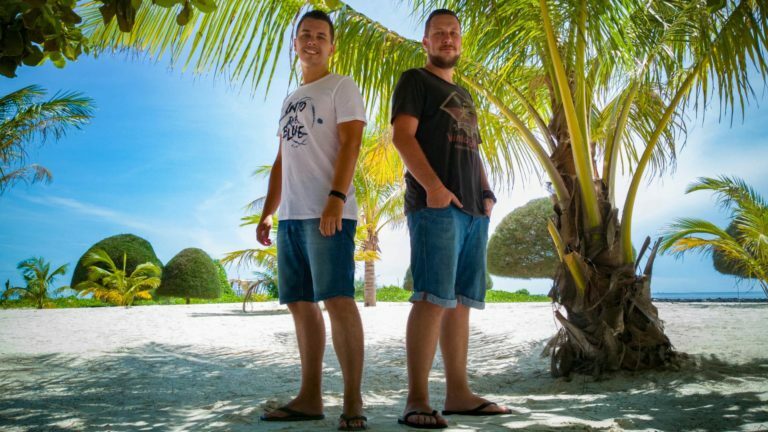 In this detailed article we will show you what you can experience on the island as well as numerous tips on sights and other activities. In addition, you can travel by bus or train to Surat Thani, but even there you have to change to a boat at the end. There are several providers to choose from such as Lomprayah, Seatran, Raja Ferry etc. Tickets and connection times can be found on 12go.asia or GetYourGuide. The bungalows in the Sea Love Bungalows are rather small, but they and the whole resort area have an absolute feel-good atmosphere! Located directly by the beach, Sea Love offers a beautiful and quiet environment. The village of Ban Tai with many restaurants, shops and a 7-Eleven is only a 5 minutes walk away. There is also a swimming pool and plenty of hammocks, where you can admire the wonderful Koh Phangan sunsets every evening. On Koh Phangan you can discover over 30 beaches. You may not expect that from such a small island at first, but if Koh Phangan has something, it’s beaches! Some of the beaches are known to many travelers, such as the Bottle Beach or, of course, Haad Rin Nok, the Full Moon Beach. But there are many beautiful beaches scattered all over the island. In the north, I definitely have to name the Malibu Beach, which is part of the Chaloklum Beach. Powder-fine white sand, a view of the island’s mountains and gorgeous turquoise waters. However, most of the beaches are located on the west coast. Personally, the Haad Chao Pao, which is often quite empty and, of course, Haad Mae Haad with the adjoining island Koh Ma stand out for me. But many of the others are not less beautiful. The northeast or the more difficult to reach beaches in the east are really nice, too. 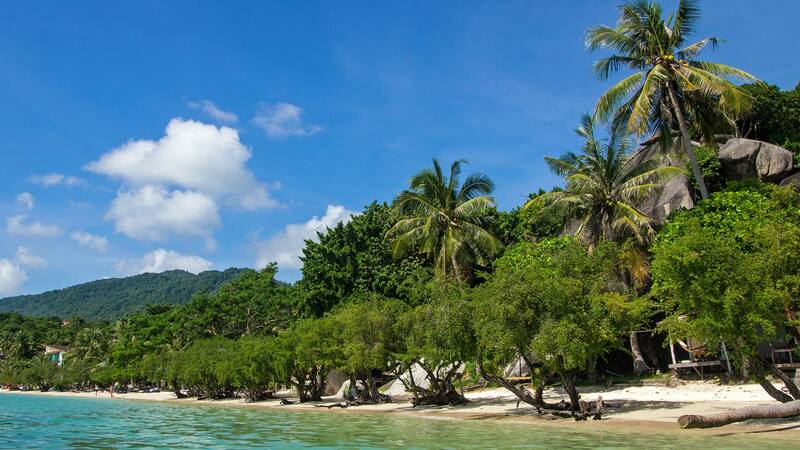 A visit to the Leela Beach, actually called Haad Seekantang, is one of the must-sees when it comes to beaches. 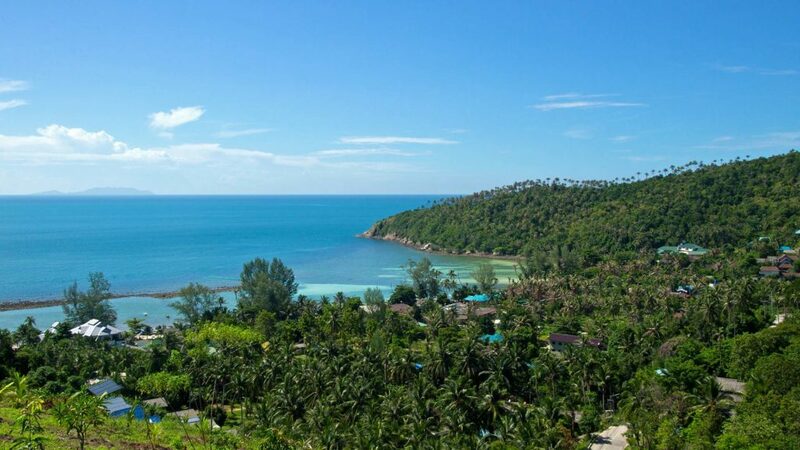 Pleasant water, fine sand, often a very few visitors and a beautiful view of Koh Samui. 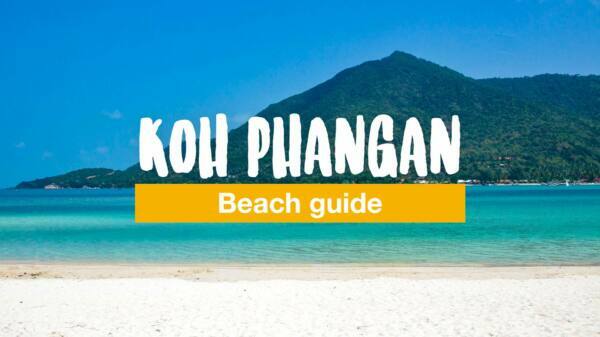 By the way, you can find more about the island’s beaches in our Koh Phangan beach guide, where we introduce you to 10 of the most beautiful beaches of Koh Phangan. 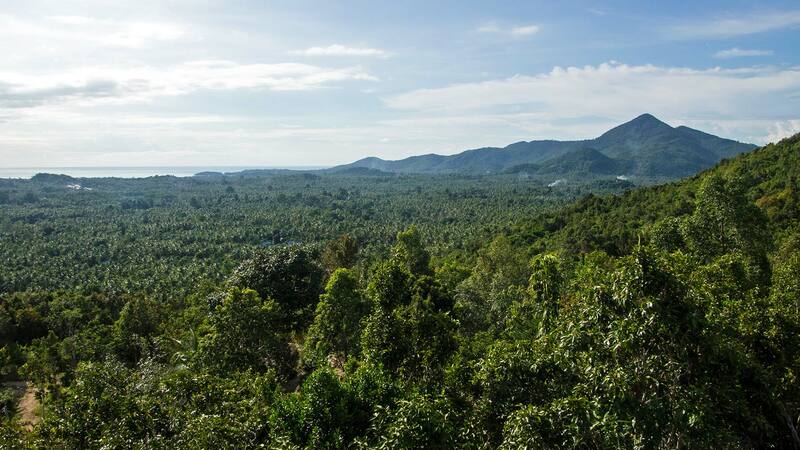 With 627 meters, the Khao Ra is the highest mountain on Koh Phangan. You don’t need any special equipment to hike to the summit of Khao Ra and it is really easy to handle. The path through the jungle has been relatively beaten except for a few places, where you will always find signs or marks on the trees along the way. However, the humidity in the jungle is a lot higher and you should definitely take enough water to drink for the 2 to 3 hours hike! 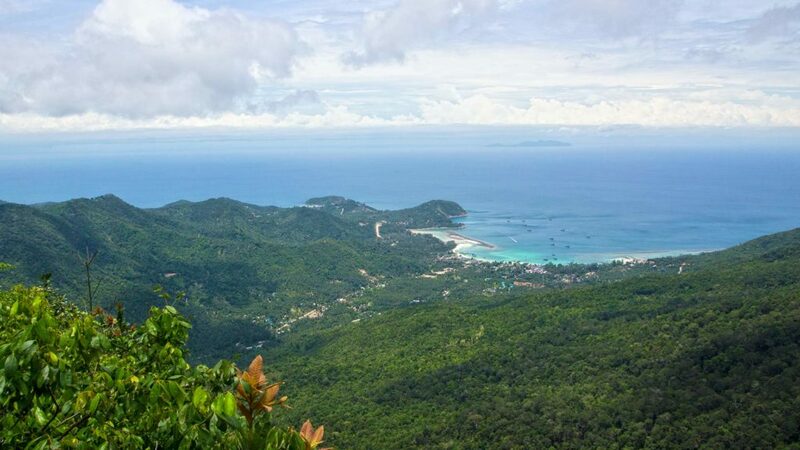 Once on top, a fantastic view of the bay of Chaloklum and Koh Ma on the northwest coast awaits you. On Koh Phangan you can find also some waterfalls that you can visit. The two most visited waterfalls are the Phaeng Waterfall a few kilometers north of Thong Sala and the Than Sadet Waterfall on the east coast of the island. 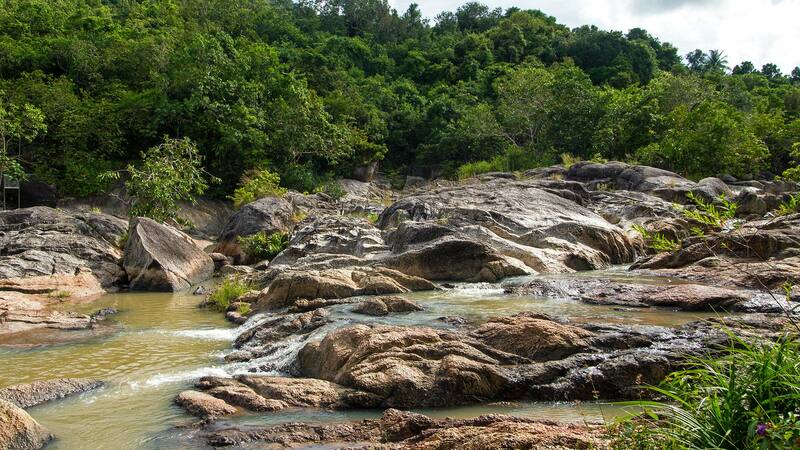 Phaeng Waterfall is part of the Than Sadet National Park, which spans over Koh Phangan. Especially in the rainy season and shortly after, the Phaeng Waterfall carries a lot of water and offers some natural swimming pools at its bottom for a cool down. But even during the dry season, you can find some pools as you continue to go up the waterfall. Tip: The Domesila Viewpoint is located near the Phaeng waterfall, which you can reach from there with a slight climb in 10-15 minutes. It offers a great view of the island and the neighboring island of Koh Samui. The Than Sadet is the most famous waterfall on the island. This is because some kings of Thailand (as well as the former King Bhumibol) have already visited the waterfall. The Than Sadet is also located in the same national park and stretches over several kilometers to the east coast of the island. There it joins the Than Sadet Beach into the ocean. During the dry season, it carries less water, but is still worth a visit. What’s more, Koh Phangan has a lot of temples to see. More than 20 of them you can visit across the island. Of course, most of these temples are, as usual in Thailand, Buddhist temples. But they are still very diverse temples with big Chedis, white painted temple buildings, Naga statues or just temples with beautiful views. Some of the temples are more than just a short visit. In the Wat Khao Tam e.g. you can take part in a meditation retreat or go to the traditional massage at the Wat Pho (not to be confused with the famous temple in Bangkok) and take part in a herbal spa. 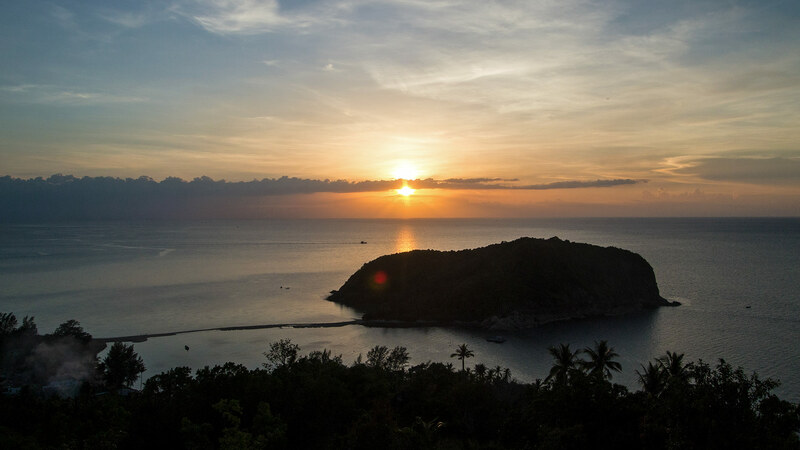 One more thing you should definitely not miss are the almost daily beautiful sunsets you can experience on Koh Phangan. 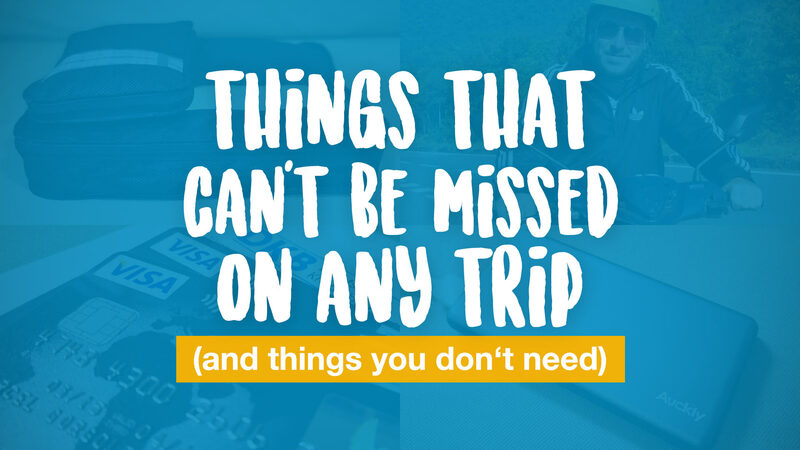 Especially the west coast is ideal for that. At certain seasons also the south coast. 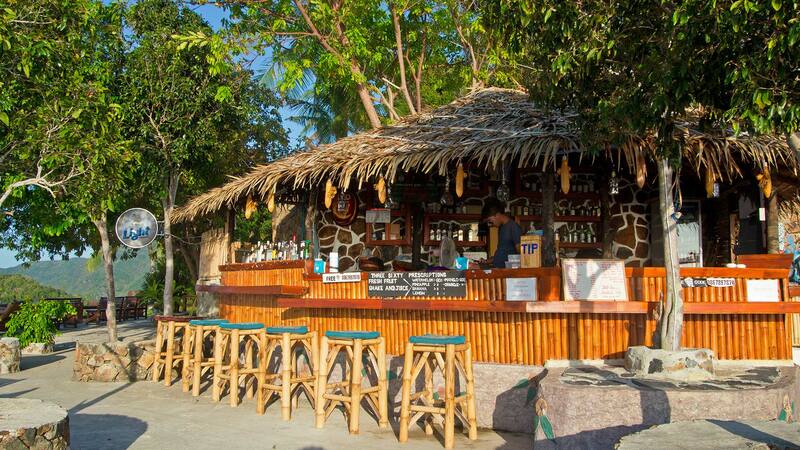 As sunsets are very popular with visitors on Koh Phangan, several cool sunset bars have popped up on the island. The Amstardam Bar is the most famous sunset bar and well filled every night. But there are also insider tips with few visitors. A good tip, although partially busy, is certainly the Three Sixty Bar with a fantastic view of Haad Mae Haad and the island of Koh Ma, which you can reach via a sandbank. You’ll also see Koh Tao in the distance. A great place for the sunset. A great activity, if you want to take it easy on an evening. The Moonlight Cinema is an open-air cinema with a cozy atmosphere. There are several daily showings of current films and older classics. Snacks and drinks are also provided at Moonlight Cinema. The tickets cost 150 baht per person, but there are also cheaper tickets on special days. For the latest program and specials, visit the here. Thailand and markets are easy to get together and you will also find some markets on Koh Phangan. 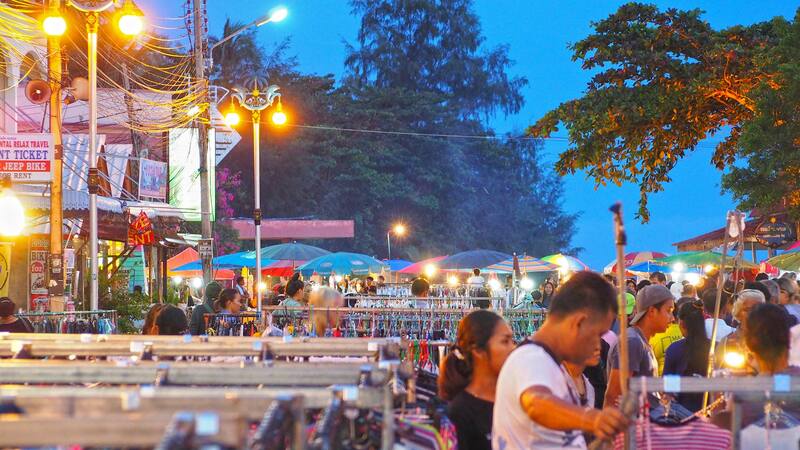 Don’t miss the Phantip Night Market in the center of Thong Sala. Every evening there is a covered food court and in front of it numerous stalls offering a variety of dishes. The huge food offer is supplemented with a few stalls with souvenirs or sunglasses. Furthermore, visit Walking Street on Saturday. It starts near the pier and leads through the “old town” of Thong Sala. There are no vehicles here, because the whole market becomes a pedestrian street. 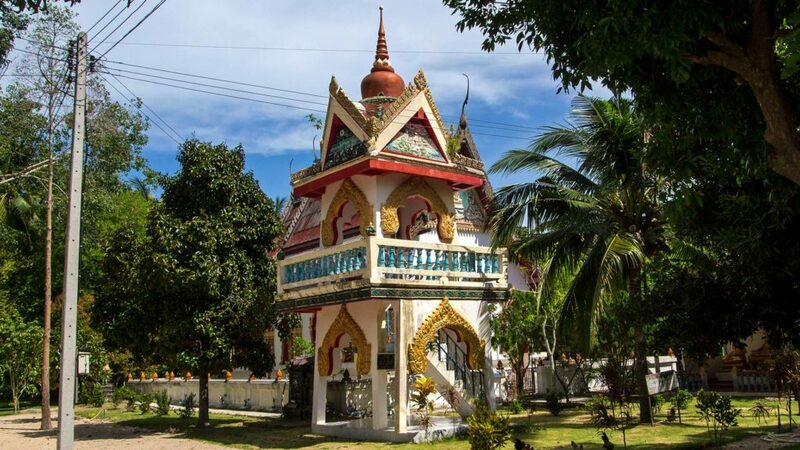 You will find a variety of Thai delicacies and delicious fruit shakes as well as countless other stalls selling souvenirs, jewelry, clothing, antiques and much more. In addition to the two described markets, there are a number of other markets on the island that you can visit. A fresh market in Thong Sala, another one three times a week in front of the Big C and also other small markets and festivals take place here and there. There is something offered daily. 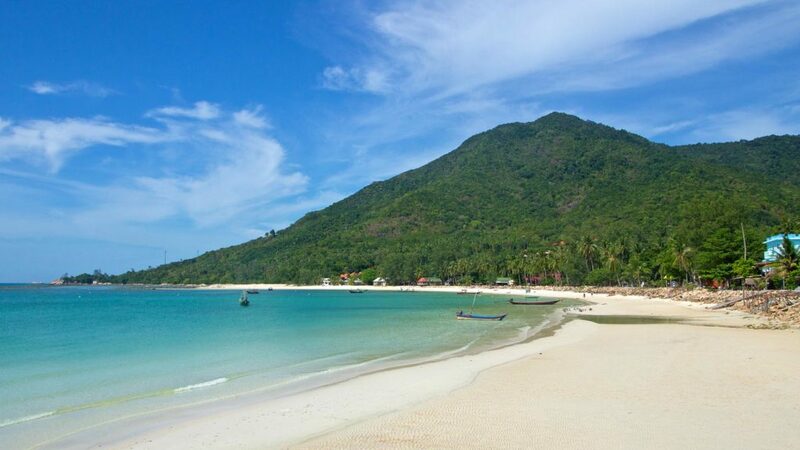 Koh Phangan is often known as a party island, which of course is kind of true. Here the legendary Full Moon Party takes place, where in the main season often 30,000 people come to the beach to celebrate. 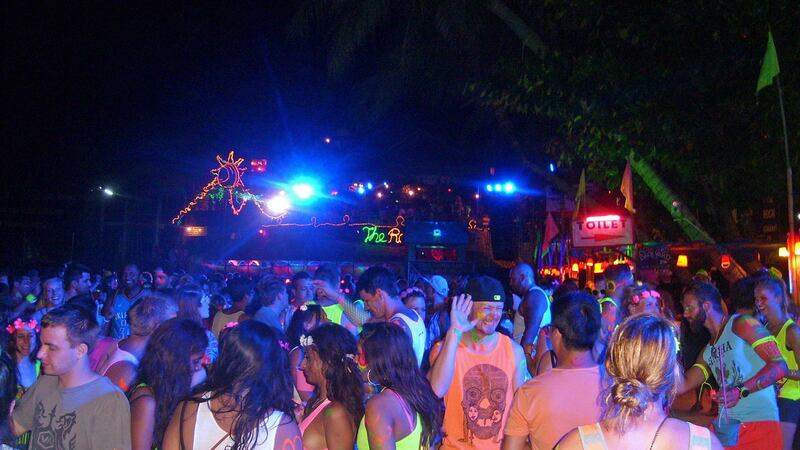 The Full Moon Party is the event of the island and many accommodations are fully booked in advance. It’s certainly a party you should have seen once in a lifetime. If you can last long enough, you can even enjoy the sunrise at the Haad Rin Nok (Full Moon Beach) in the morning. At this point also a short reference to the statements that you often read on the Internet. Contrary to many opinions, the Full Moon Beach is not littered the day after the party. As soon as the first resorts and bucket stalls close, the resort’s employees start cleaning their respective beach sections. Since we live on Koh Phangan and are very often at Haad Rin, we can confirm that it is the case on a regular basis. But that’s not all when it comes to parties. 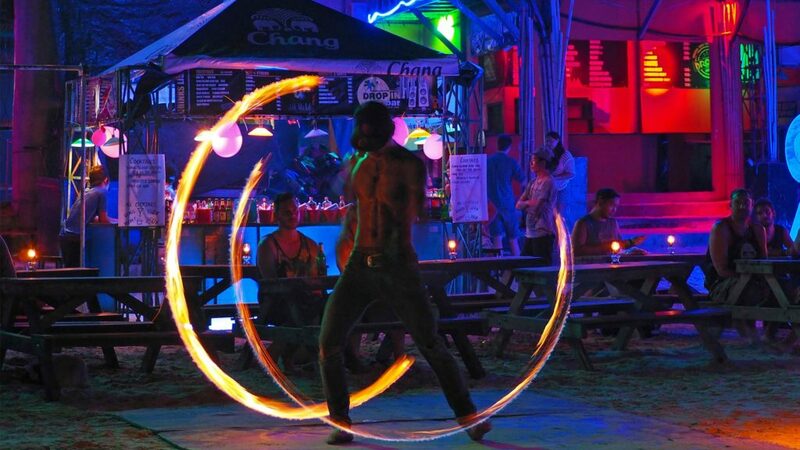 Even if you do not come to the Full Moon Party in Koh Phangan, there is always something going on. Half Moon Festival,Black Moon Culture, Jungle Experience, Waterfall Party. There’s always a place to go if you like partying. You can also go to the beach in Haad Rin every evening where the Full Moon Party takes place. The Cactus Bar and Drop In Bar are open daily and feature fire shows and music to party until late at night. If you don’t have a plan on Sunday, then check out the Loi Lay Floating Party. It takes place on a kind of houseboat at the pier in Baan Tai. The BM Bar (Bangers and Mash) next to the Food Factory in Thong Sala is always good for a drink or cocktails, too – on Fridays there are cocktails for only 99 baht. One of the most popular sports in Thailand is definitely Muay Thai. There are countless stadiums throughout the country. Also on Koh Phangan you will find 7 stadiums (4x in Thong Sala, 3x in Baan Tai, 2x in Haad Rin) to watch the evening fights. But of course there are also many Muay Thai schools you can go to, take a closer look and even practice. 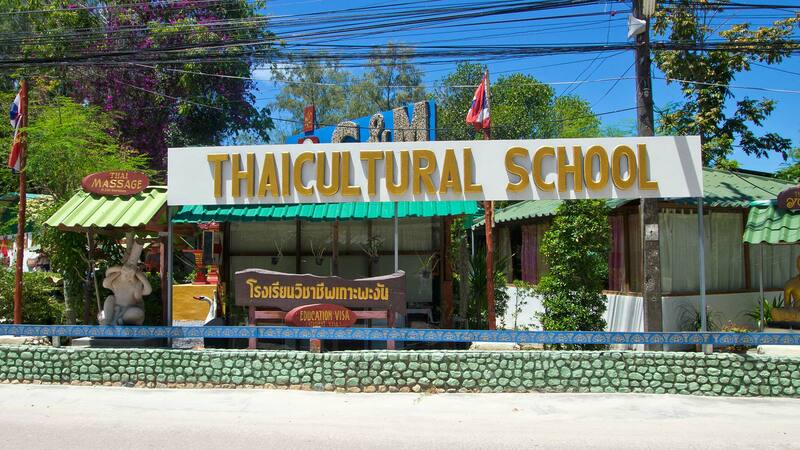 Many Muay Thai schools also offer courses in English. Good schools would be e.g. 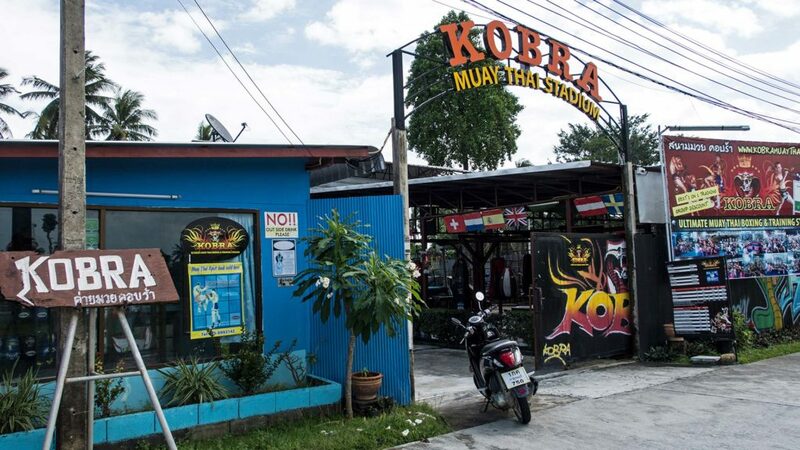 Kobra Muay Thai, Diamond Muay Thai, Koh Phangan Muay Thai & Fitness Gym and more. Prices start from 400 baht and can also be several thousand baht if you engage a private trainer. 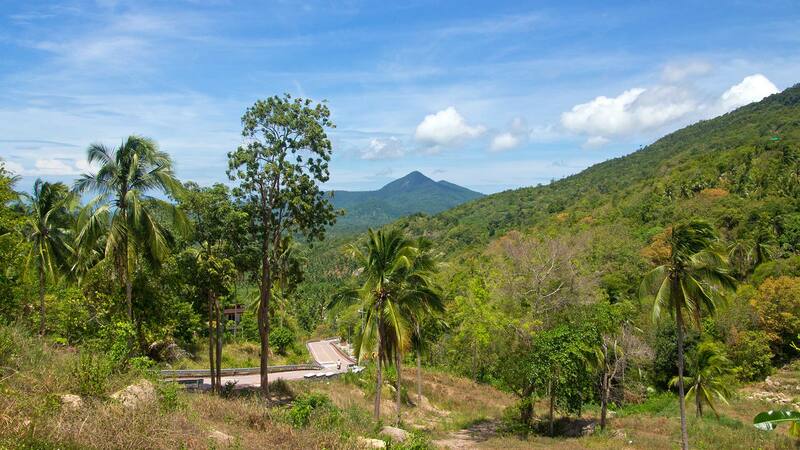 Some parts of Koh Phangan are very hilly, especially on the road along the west coast and on the way to Haad Rin. But also in the middle of the island there are some mountains. This will of course give you many fantastic viewpoints across the island. Many of the viewpoints can be reached by scooter, while some can only be reached by foot. I can’t say exactly which is the most beautiful viewpoint, but I always think the views on the Haad Salad or on the bay of Thong Nai Pan are quite impressive. The Thai cuisine is known far beyond its borders and is considered one of the best cuisines in Asia and even worldwide. Delicious Thai food is often very fresh, healthy and naturally spicy. 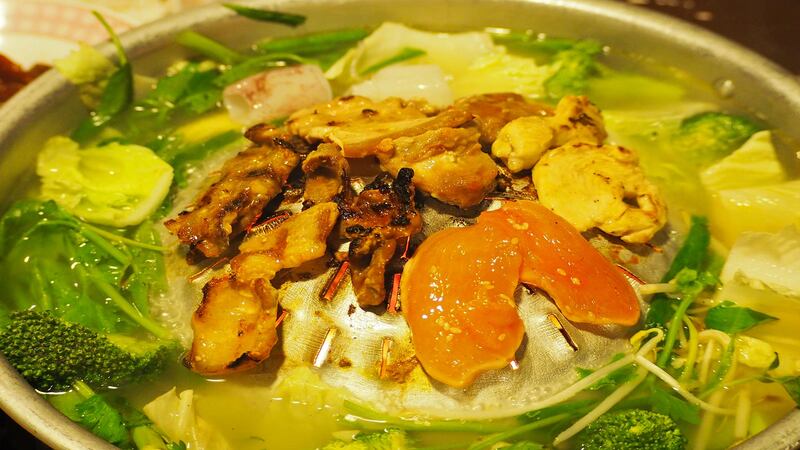 For the visitors of Thailand, however, the dishes are usually not as spicy as tourists are not used to it. Thailand’s exotic cuisine has made Thai food well-known throughout the world, and Thailand’s first-time visitors are easily overwhelmed by the rich variety of dishes available. Everywhere it smells like food, there are tons of restaurants and food stalls in the street. Quite different than at home. Thailand offers countless dishes to try. There would be e.g. Moo Kata, the Thai All You Can Eat barbecue, which you will find in many places, or classic dishes such as Papaya Salad (Som Tam), Pad Kra Pao or even Green Curry. Here’s a selection of 10 Thai dishes to try. 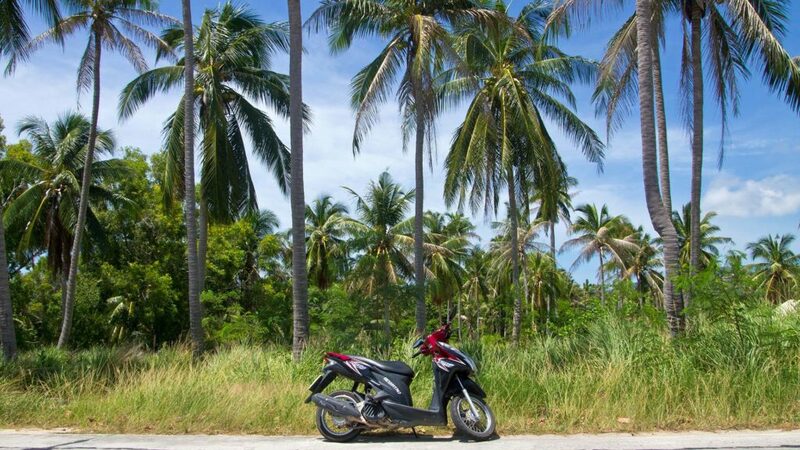 The best way to explore Koh Phangan is to rent a scooter and discover the island on your own. The island offers mostly good and well-paved streets, which means that you will not have any problems reaching the various sights or beaches of Koh Phangan. One of the most beautiful routes is certainly the route along the west coast. The road leads past many beautiful beaches, viewpoints or even sunset bars. 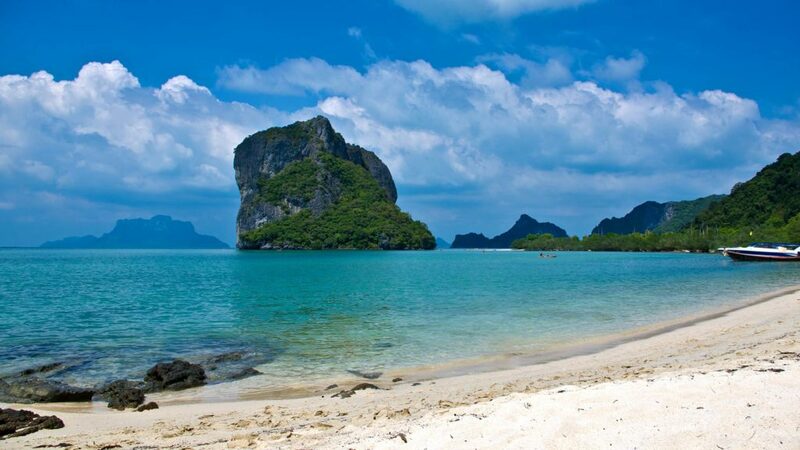 Two stops that I would definitely recommend to you are the Haad Son, also called Secret Beach, and the Haad Mae Haad. The Haad Son is located in a beautiful little bay. You can also do some snorkeling on site, especially at the Koh Raham Bar of the Haad Son Resort. The Haad Mae Haad with Koh Ma is located in the northwest and is very popular as you can walk across the sandbank to the neighboring island. Koh Phangan is also very popular for yoga and meditation. There is a rich offer spread over the entire island – sometimes in the center of the island and sometimes directly on the sea. Much of this is happening on the west coast around the town of Srithanu. There is something for everyone here. No matter if beginner or professional. There are yoga classes for different styles and levels, meditation workshops, multi-week retreats and more. There are larger yoga centers or smaller schools. Surely something for your taste as well. Most yoga classes start at a price of 300-500 baht. Often the first hour to try out is free. You can check in advance online or search directly for a local yoga studio. Pre-registrations are usually not necessary. 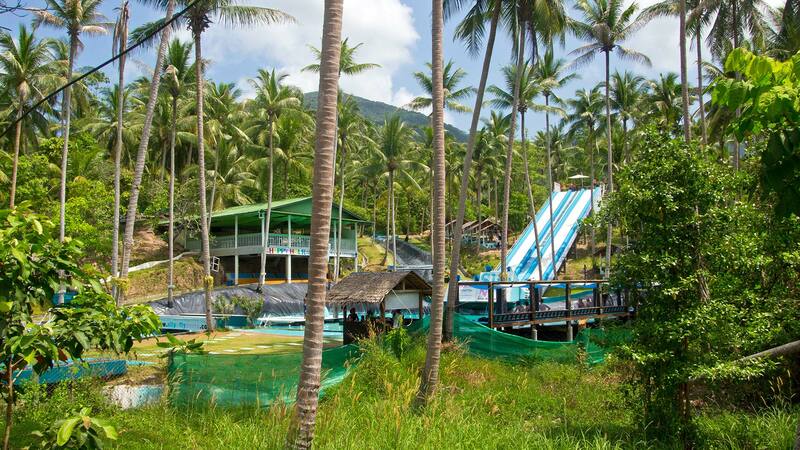 Slip N Fly is a popular attraction on Koh Phangan. It is open only during the festival days, e.g. in the week of the Full Moon Party. Here you can celebrate during the day and chute down the 40 meter long slide. It is open from 11.00 A.M. to 7.00 P.M. and the entrance fee is 600 baht per person. You can find Slip N Fly on the road between Thong Sala and Chaloklum in the north, but the shared taxis will surely take you there, too. If you want to stay longer in Thailand or want to do a language-learning holiday to get to know the local language, you can do so on Koh Phangan as well. Here you have the choice between private lessons or group courses. Depending on the level of difficulty and number of hours, prices start at 15,000 baht. A good and licensed language school would be the KPT Language School, which also offers courses on Koh Phangan and helps you learn Thai in speech and writing. If you have ever wanted to attend a cooking class in Thailand, you will find it on Koh Phangan, too. Spread across the island, you will find some cooking classes that offer private or public courses. Some luxury hotels, such as the Anantara also offer their own cooking classes. You can learn how to prepare classic Thai dishes such as Papaya Salad or Pad Thai in just a few hours and enjoy the delicious food at home. One of the best known cooking schools is C&M Cooking Class at the C&M Thai Cultural Center in Srithanu. Most courses start at 800-1000 baht per person. But here you can also learn massage or the Thai language. Koh Phangan and the Gulf of Thailand are a wonderful place to snorkel, dive or learn to dive. There are numerous dive sites around the island, a colorful reef on the west coast and well-known dive sites such as the Sail Rock are also only 20 kilometers away. 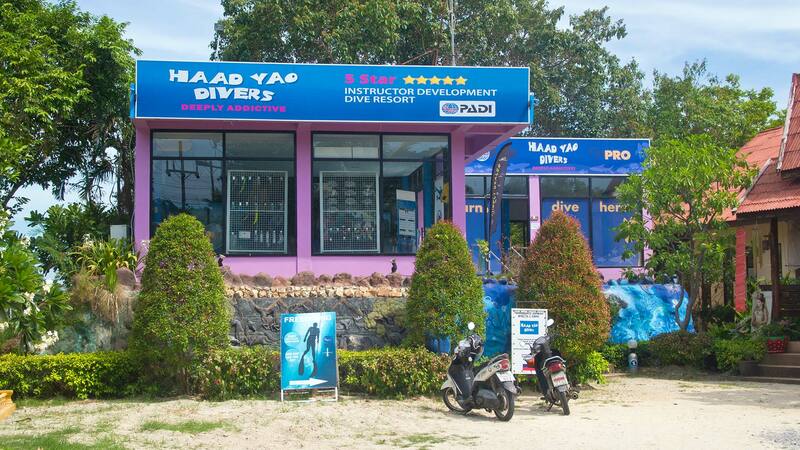 Above all, the island is becoming more and more popular for diving courses, as the courses are not so crowded with participants, like on the neighboring island Koh Tao. Often there are only up to 4 people in the groups and the instructor can better prepare and help the students. Also, there are some places for snorkeling on the island, especially along the west coast. You’ll find lots of fish near the rocks in front of the Koh Raham Bar of the Haad Son Resort. 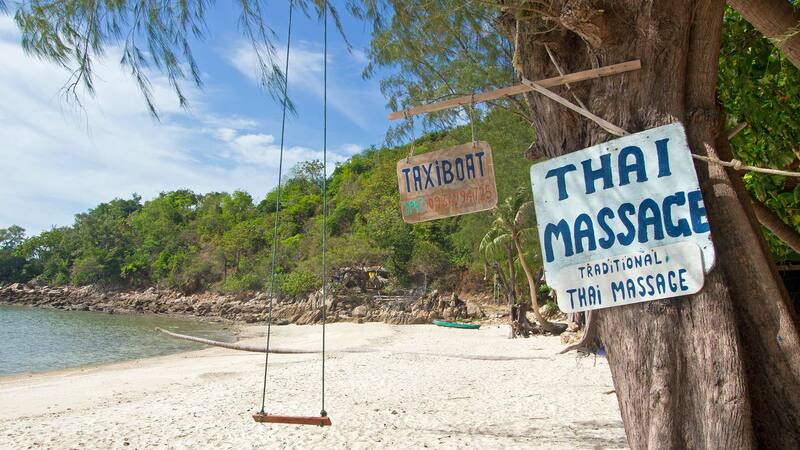 Also, Haad Mae Haad and its offshore island Koh Ma are a popular snorkeling spot. A kayak tour is also a welcome change for many travelers instead of just relaxing on the beach. That way you are physically active and can discover new sides of the island. 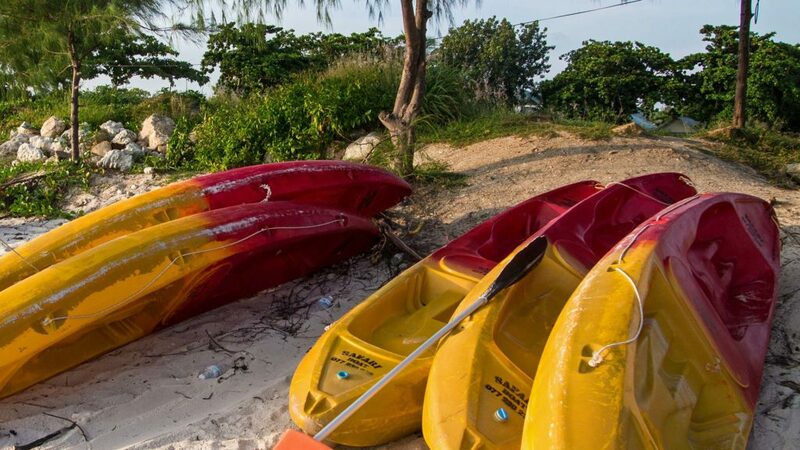 On many beaches of Koh Phangan you can rent kayaks. The price starts around 100-150 baht per hour. A good and recommended kayak trip would be a ride from Thong Sala to the offshore island Koh Tae Nai. For this tour you can rent a kayak at Beck’s Resort and you’ll be on the island in about 15 minutes. Other popular routes are from Chaloklum or Haad Khom to Bottle Beach or from Haad Rin to the beaches of the east coast. 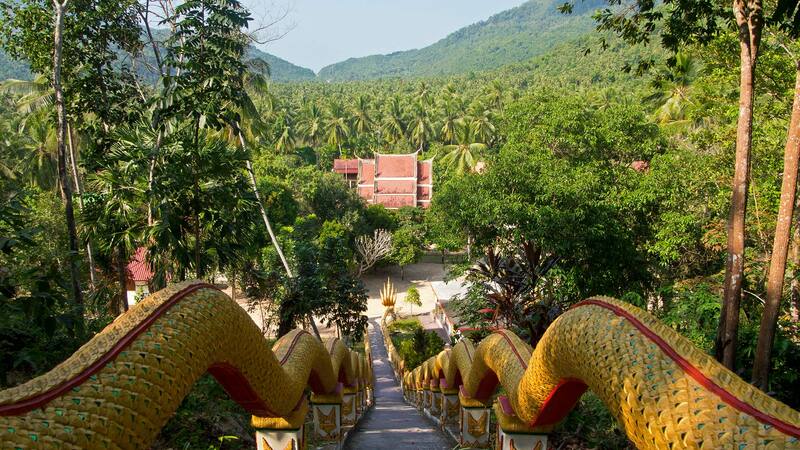 As in many parts of Thailand, which are regularly visited by tourists, you can of course also find Koh Phangan traditional Thai massages and spas. Not only many medium-sized and higher-class hotels offer their guests on-site massages, but there are also many massage shops and spas spread over the island. Thai massages & spas offer a lot of services in addition to traditional Thai and oil massages, such as sauna, aromatherapy, hot stone massage and more. The massages start at 300 baht per hour and can cost 500 baht or more, depending on the program and length. Two very good and recommended massages are Tanaporn Massage House in Baan Tai and Pure Relax in Thong Sala. The Ang Thong National Park is located off the coast of Koh Samui and Koh Phangan and is a popular destination for day trips. There are stops for snorkeling, kayaking, lunch in a local village and beautiful beaches and rock formations. The tours are offered either by speedboat or a larger wooden boat. The boats to the national park start around 9.00 A.M. The first stop for snorkeling and swimming is usually done on Koh Wao or Koh Tay Plaow. Afterwards you will visit the islands Koh Wua Talap and Koh Mae Koh. On the last one there is a fantastic blue lagoon on the inside and a viewing platform on a hill. If you book kayaking, it usually takes place here as well. The prices for a tour in the Ang Thong Marine National Park are between 1700-1800 baht for adults and 850-1300 baht for children. Snorkeling, a light breakfast and a buffet lunch are included in the rates. However, there is an additional 300 baht National Park fee. Have you ever been to Koh Phangan? How did you like the island? Give us some feedback in the comments!